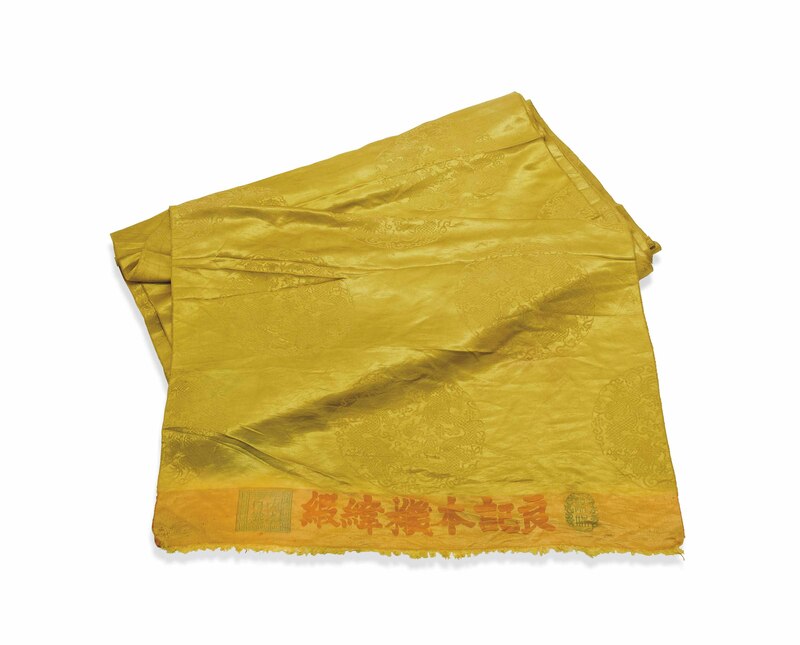 It is woven with an imperial style yellow ground with damask double five-clawed dragon roundels. The end is woven with six characters reading 'Liangji Benji Weiduan', referring to the name of the workshop where the silk was woven. The silk is of rich egg-yolk-yellow tone.